There was a recent article in the paper about how ancient redwoods and sequoias are growing faster now than at any other time in their long lives. 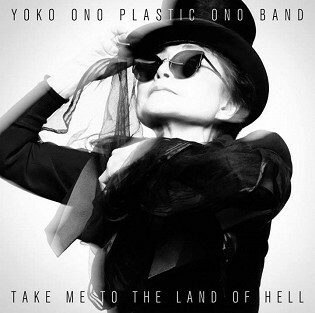 When I read this I had just begun my first listenings to Yoko Ono’s Take Me to the Land of Hell. That’s when I began to think of this album as a tall tree in the forest of music. When you examine the current growth rings, they are huge, never larger. Now I’ve begun to walk farther into the multi-faceted forest of her work and am finding more big trees that somehow evaded me earlier. Take Me to the Land of Hell has led me on a new journey. Take Me to the Land of Hell may be as much like a painting or a living canvas as it is an album. Most of us have favorite paintings. Some of mine include Starry Night by Vincent Van Gogh and Garden of Earthly Delights by Hieronymus Bosch. I’ve had the chance to stand in front of these paintings, both of which are physically quite small — smaller than expected — and they have then grown right before my eyes to huge dimensions. This is a mind-altering experience — to be taken over by a painting, to become a part of its magnetic, enveloping orbit. This same thing has happened to me with Take Me to the Land of Hell. For the first time ever, I have even thought of a subtitle for someone else’s album. My subtitle is Bonsai Garden with Hawks, inspired by another favorite painting of mine: Van Gogh’s Wheat Field with Crows. The sheer raw emotion of that painting has, as Yoko Ono says in “Moonbeams,” her poem/song that begins the album, a quality of “melting into my bloodstream.” It always pulls me back to it to ponder the path through the wheat field that suddenly stops, the crows crowded in the sky, looking like the way kids paint their two-stroke birds, feverishly landing in the golden wheat made alive by stabs of paint. And it’s the same for me with Take Me to the Land of Hell. As soon as it’s over I want it back again. The perfect placement of each element, from the very opening hawk’s calls that begin “Moonbeams” and soon become primal screams, to the silence of the last track where we are invited to imagine the opening, from the smile and groove of “Cheshire Cat Cry” transposing our Declaration of Independence to become: “We, the expendable people of the United States hold these dreams to be self-destructive” to the soulful cello of the title track make it a very satisfying experience and I’m reminded of walking in a favorite magical garden from my past. The fragrance of my grandmother’s thyme just after she watered it is always waiting in my memory, ready to be recalled. The personal, private garden of Take Me to the Land of Hell is delicate, balanced, and poised. I love musical experiences that have a beautiful fragrance. This album for me has the fragrance of freshly watered thyme. I feel that with each song Yoko Ono is giving us a guided tour through her private garden, a garden that includes a lifetime of questions, observations and special musical blossoms. What an incredible accomplishment Take Me to the Land of Hell is! Not only does it feel like a sure-footed next step in the expansive forest of Yoko Ono’s work but she has forged the creative space to go anywhere from here. I’m struck particularly by her light, painterly touch of immense tragedy in the lullaby “Little Boy Blue Your Daddy’s Gone.” The mastery and lack of self-pity it took to expose this raw nerve center so gently is staggering. I could make a huge list of singers and other performers who have clearly been influenced by Yoko Ono. Credit is often hard to come by, especially from those who have done the borrowing. There is no point in waiting for it. Some people don’t want to have their tracks followed. But maybe it’s more important to appreciate how she is elegantly bringing so many strands of her thoughts together right now. This little garden of love songs, nightmares, dreams, screams and remixed musings has a large palette of musical paint. The more I listen, the more the miniature trees seem to get bigger. Maybe the best thing we can do is step back and appreciate her amazing creative force. From the hammer and nails of her earliest days to “Breath Piece,” from “Hell in Paradise” to Bed-Ins for Peace, from “Don’t Worry, Kyoko” to the 16 seconds of silence of “Hawk’s Call” that close this album, I invite you to join me and begin exploring and re-exploring the furthest reaches of her work. Take Me to the Land of Hell is a great place to begin. I can’t wait for where she goes next. 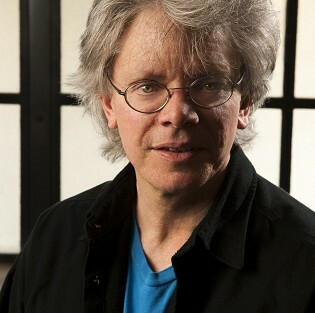 David Harrington is the founder and artistic director of the Grammy-winning Kronos Quartet. For 40 years, the Kronos Quartet and its non-profit Kronos Performing Arts Association have re-imagined and redefined the string quartet experience through thousands of concerts, more than 50 recordings and 800 commissioned works, and education programs for emerging musicians. You can follow Kronos Quartet on Twitter here. 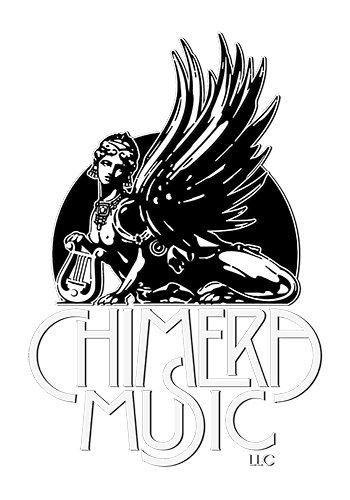 Receive an INSTANT DOWNLOAD of the song MOONBEAMS when you pre-order the album now at Chimera Music. Copyright Yoko Ono © 2018. All Rights Reserved.